Two days the massacre at the Tree of Life Congregation synagogue, a Jewish cadet at the Air Force Academy had to listen to upperclass cadets—who outranked him—disparage the victims for their faith, saying, "The 11 Jews murdered would now be burning in hell forever because none of them had accepted Jesus as their savior prior to being shot and killed." This according to his parents, who are considering withdrawing him from the Academy. 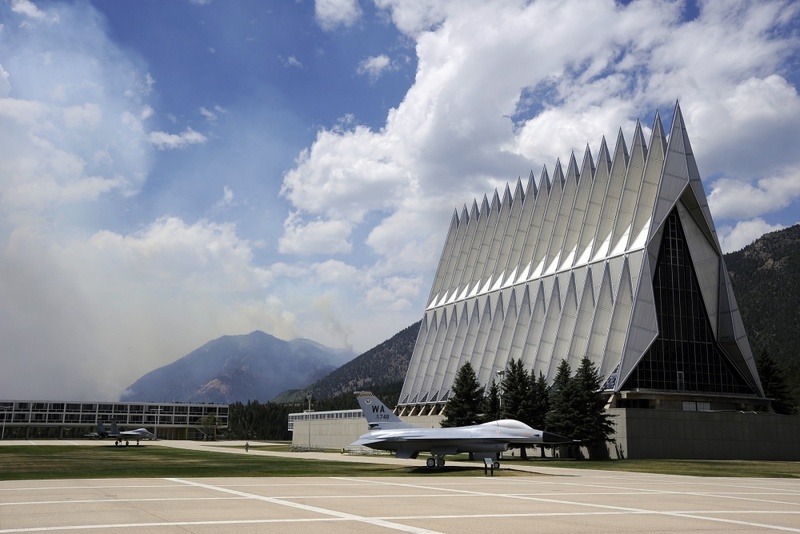 “The Air Force Academy is not a problem, issue or challenge, it's a constitutional—or unconstitutional—train wreck, and it's been this way, basically since February 2004, which is when we started this fight,” MRFF founder Mikey Weinstein told Crooks and Liars. In fact, Weinstein had a similar experience of open anti-Semitic prejudice as a freshman cadet in 1973. It’s not just important for the individuals involved, but for the military as a whole. Retired Brig. Gen. Martin France—a recently retired instructor at the Academy who’s now on MRFF's advisory board—put the incident in context. With everything else going in the world, it might seem minor incident, but trust is vital for any military organization, he said. “When you bring religion and politics into the workplace, that are just by their very nature partisan – then you end up essentially bringing your private tribes into the military arena, and that's not good for unity, it's not good for trust among comrades in arms. And that's why there are rules about what you can and cannot say on duty, or can and can't say as a commander” France said. “It goes as far as Article 6 of the Constitution saying you can't have any religious test for someone is holding a position of responsibility when offices in government.” The incident occurred at the noon meal, where attendance is mandatory for freshmen cadets, making it a duty station, where they are outranked by upperclassmen, with no standing to respond to them. The story was first reported by Pam Zubeck at the Colorado Springs Independent, who sought comment from the Academy for two days, before the public affairs office issued a statement “saying the episode couldn't be substantiated and that the Academy ‘therefore [was] unable to provide a specific response.’"
“Nobody there said anything to stop this,” the cadet’s parents wrote. The only help came from another freshman cadet at the same table. “He too, although not Jewish, was outraged,” they said. He called his parents, who in turn suggested that the cadet call the MRFF. He spoke with his parents, who in turn took the initiative. Yet, he made no mention at all of the incident in his own ranks, much less how it should have been handled, and why. “This could have been a really good teachable moment for the Academy,” Weinstein said. The situation is quite different at other academies, Weinstein noted. “Almost at the same time we had an issue at West Point,” Weinstein said. The response was swift. “They were all over themselves,” he said. The issue was resolved within 24 hours. “There's a reason West Point hasn’t been in the media negatively from us alone, for over the last five years.” It’s not that there aren’t problems elsewhere. MRFF gets complaints all the time. But their focus is on getting complaints handled and resolved—being partners with command staff that takes their constitutional duties seriously. But that’s not how things work at the Air Force Academy. Drug Prices on TV? They May Be Coming. Beto O’Rourke is 46. Bernie Sanders is 77. Does Age Matter Anymore for Democrats?